BRICpro is looking for a purchaser with interior knowledge and experience within product development and sourcing to join our team in Copenhagen. BRICpro is an ethical sourcing and development company with offices in Copenhagen, China and India. We assist design brands with end-to-end productions at our partnering factories in Asia and Europe within furniture, interior and home textiles. Our client portfolio consists of brands from Northern Europe and the US within the high-end to affordable-luxury markets. We have a strong network of suppliers in Europe and Asia that we manage in close collaboration with our offices abroad. Responsible and ethical sourcing are core-values in BRICpro, which is segmented in our participation of the UN Global Compact initiative and as an active member of the Danish Ethical Trading Initiative. If you become part of our team, you will work in close collaboration with our clients, several suppliers and offices in India and China, and have the possibility to develop your areas of responsibilities within our company. In this position, you will work in a very close collaboration with our interior clients. The position involves being responsible for the client’s product development (designed by the client) and purchasing, which include project management of the sampling and production phases. 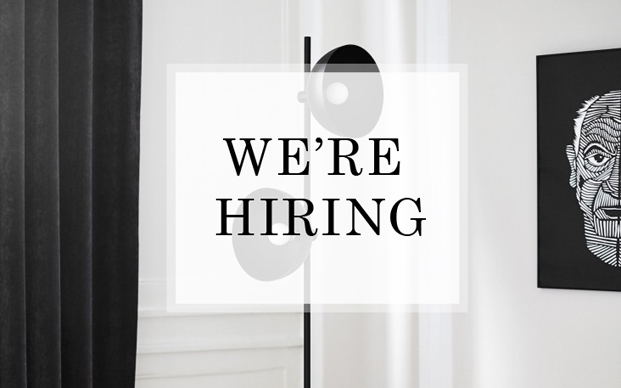 The right person for this position has (i) experience with purchasing and sourcing from factories in Europe and Asia (ii) a solid technical understanding for interior and home textiles, (iii) a flair for design and trends while also possessing (iv) a good sense for business. If you thrive in a position with a high level of responsibility and gain personal satisfaction in managing quality productions with our suppliers in Europe and Asia, then this position is a great opportunity for you. The position can be made to suit either a part-time or full-time job at our office in Copenhagen. You should be ready to travel around 30 days each year to visit suppliers, carry out quality inspections, follow-up on running productions etc. International applicants are welcome to apply if you are willing to relocate and have a working visa to Denmark. Salary will be negotiated according to qualifications. If you have any questions regarding the position, call our CEO, Mads Bisgaard Christensen, at +45 2611 3859. We are hiring as soon as possible. Send your application, CV, previous work or other relevant information to mads@bricpro.com. Subject in the e-mail should be “Purchaser”. We will be evaluating the applications on an on-going basis and will be hiring as soon as possible.